Private cargo jets offer an alternative to traditional shipping methods that is expedient, reliable, and secure. Just because they are private doesn't mean that they are exempt from air traffic regulations for cargo, though. If you happen to be shipping anything that might fall into one of the categories below, check with federal, state, and local laws to make sure that your packages arrive safely and don't immediately go into an evidence locker. Planes are a collection of metal, fuel, people, and cargo precariously defying gravity and possessing an immense amount of potential downward energy. For this and many other good reasons, shipping dangerous cargo has a strict set of guidelines. If it's a harsh chemical, flammable, toxic, explosive, or otherwise has the potential to cause harm if mishandled, then consider it dangerous. Animals, whether pets or livestock, need to be treated with a basic level of dignity and respect even when being shipped across the country. You should have health certificates for the animals, enough food and water to last throughout the trip, and accommodations that are not overly restrictive or unsafe. While in the cargo hold, the animals can be subjected to low temperatures unless proper (and legally required) countermeasures are taken. Shipping food typically only requires a declaration of the product and proper storage for the trip. You might be delayed if there happens to be a food-borne virus or illness at the time, but your main worry will otherwise be to prevent spoiling. Chances are that someone else has wondered if a certain item can be shipped privately before, so a quick online search for your specific cargo may reveal an answer. If you can't find a reputable answer, contact an official body like the IATA, FAA, or DOT for more information or lists of special cargo concerns. 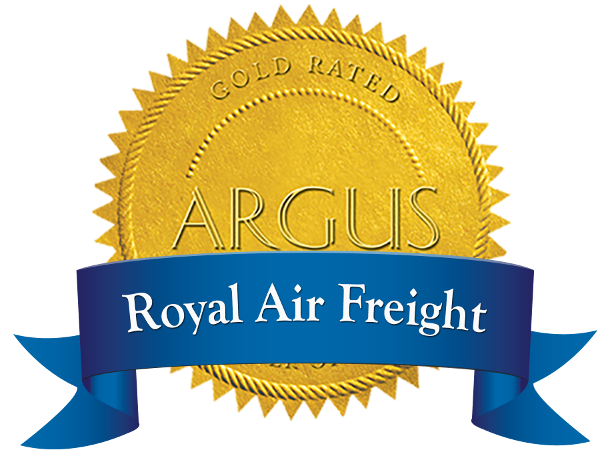 For more questions on private air travel, contact the experts at Royal Air today!